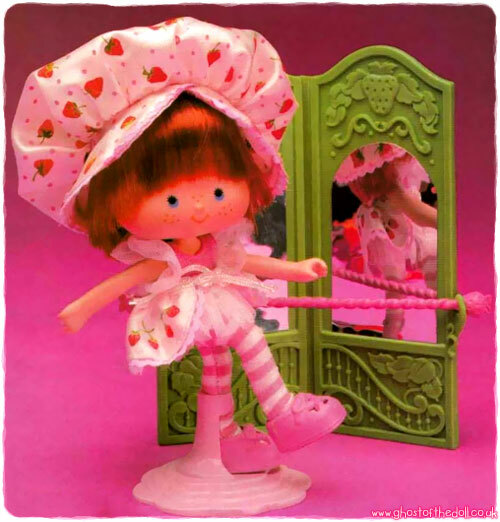 "Welcome to the world of Strawberry Shortcake!" 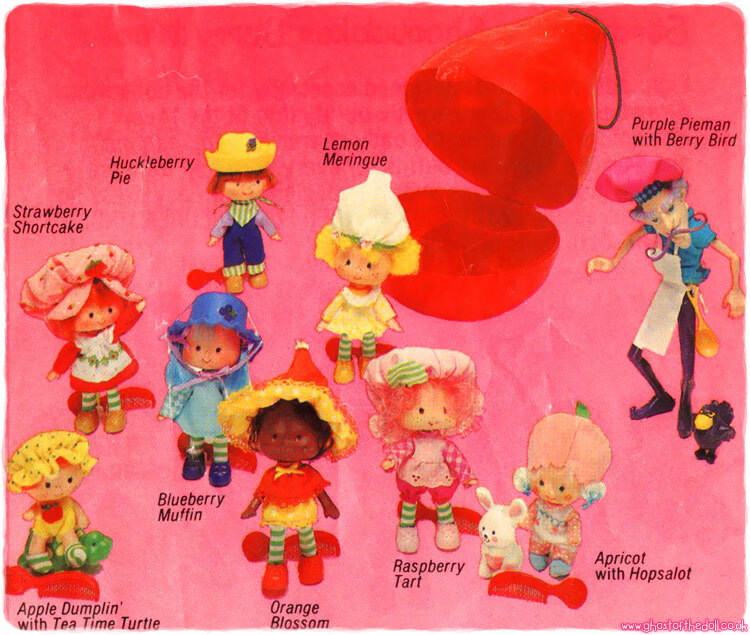 Strawberry Shortcake was produced by Kenner in 1979-1985. and was a series of scented dolls with pets which wore a hat, dress, and stripy socks. There were 21 characters in total, and the line became so popular that it led to the production of hundreds of other products, including video games, sticker albums, clothes, movies and much more. 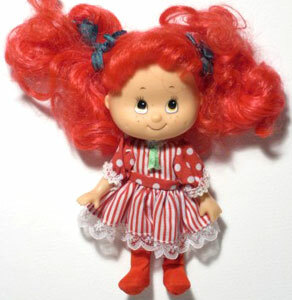 Strawberry Shortcake was re-issued in 1991, again in 2002 and are still going strong today. 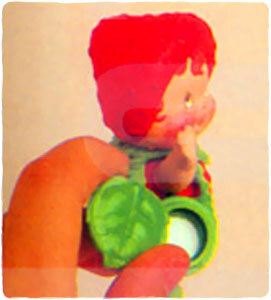 Images on this page thanks to Pranceatron, Totally Jem, and various eBay sellers! 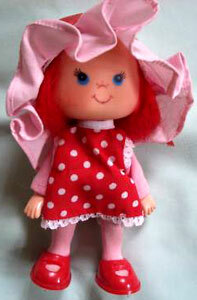 Find Strawberry Shortcake on eBay.com or eBay.co.uk! 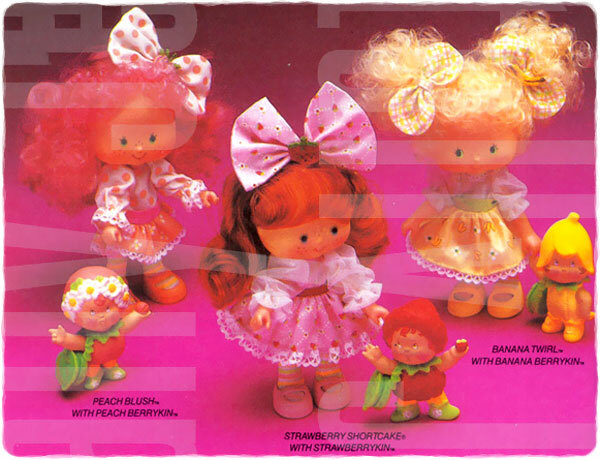 In 1979 Kenner produced the first five Strawberry Shortcake Dolls. 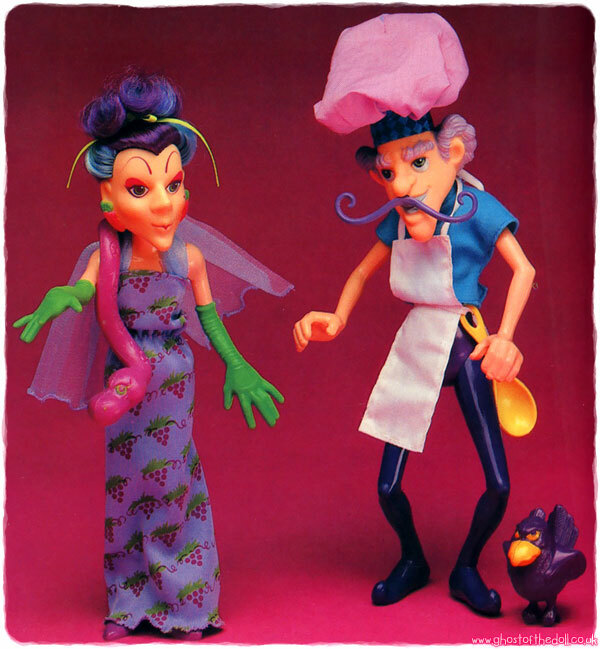 Except for Purple Pieman, they all had flat rather than curved hands making them most sort after. They were each scented like their name. 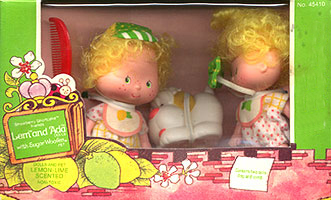 The 1980 Kenner re-issued the five original dolls, now with curved hands (except the babies), and added four more characters. 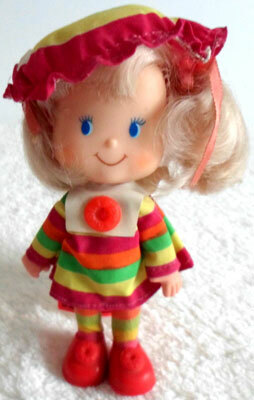 The dolls included six 14cm dolls without pets, plus two 8cm baby dolls and one villain with pets. They were scented like their name. 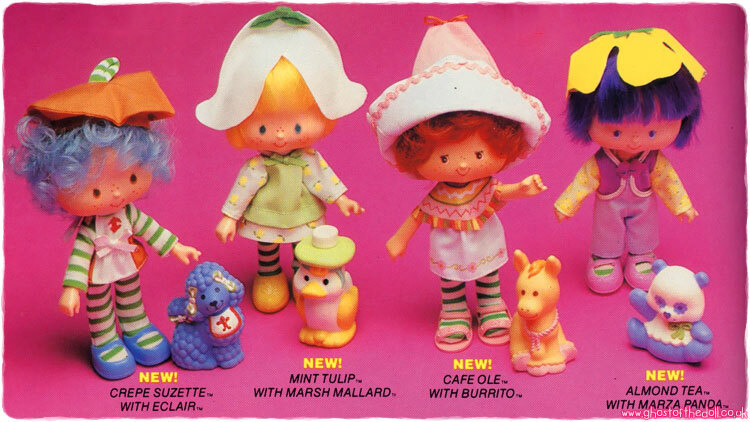 In 1981 Kenner made all the dolls with pets. 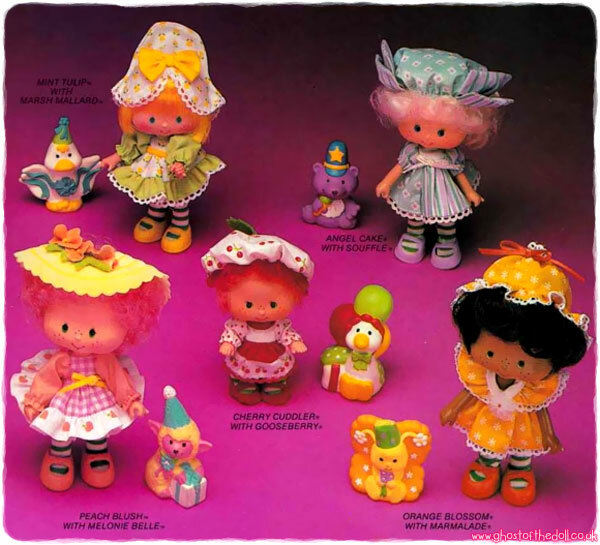 Each of the six original 14cm dolls got a pet friend, the three original 8cm dolls were also re-produced and 5 more dolls were introduced (3 girls, 1 baby and 1 villain). They were each scented like their name. 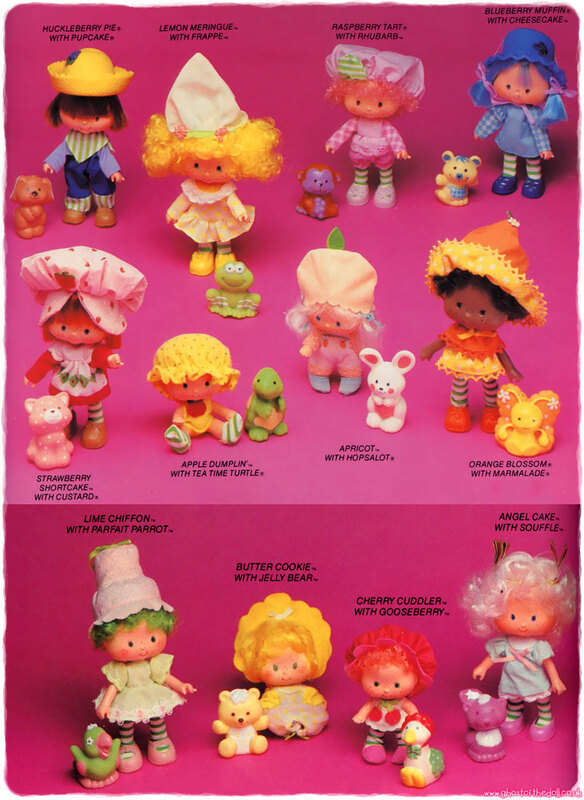 In 1983 Kenner added 6 more characters to the collection. 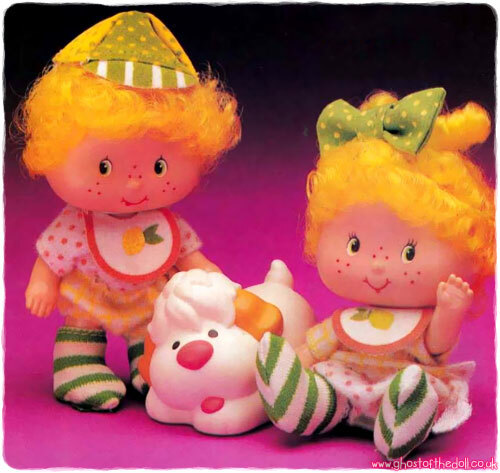 Lem n' Ada were twins and included the only other boy (Lem). 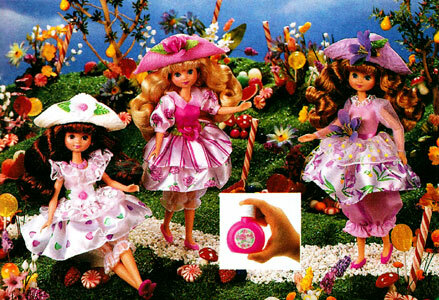 They were each scented like their name. "She'll dance her way into your heart!" 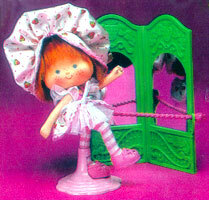 In 1983 Kenner produced a Dancing Strawberry Shortcake Doll. 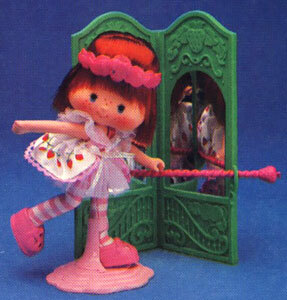 Her body was jointed and she came with a posing stand and double mirror with ballet bar. 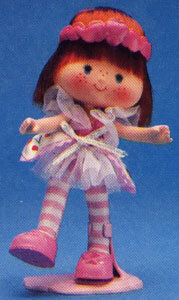 "Her bending knees, poseable waist and special outfit add more ballet fun!" "All dressed up and sweetly scented for your next party!" 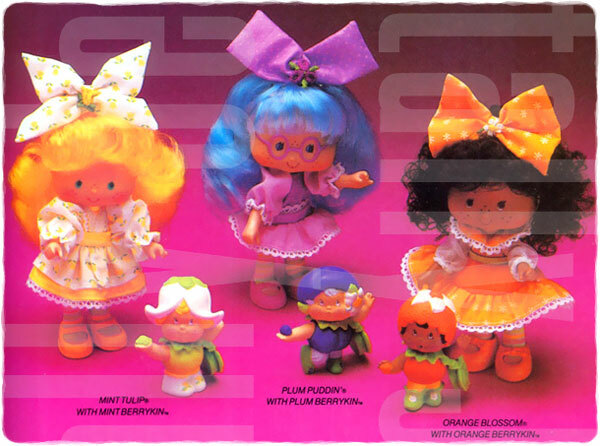 In 1984 Kenner produced ten Party Pleaser Dolls, which also included two new characters. 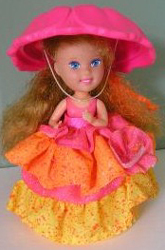 All dolls were dressed in party outfits and their pets had on party hats. They were each scented like their name. 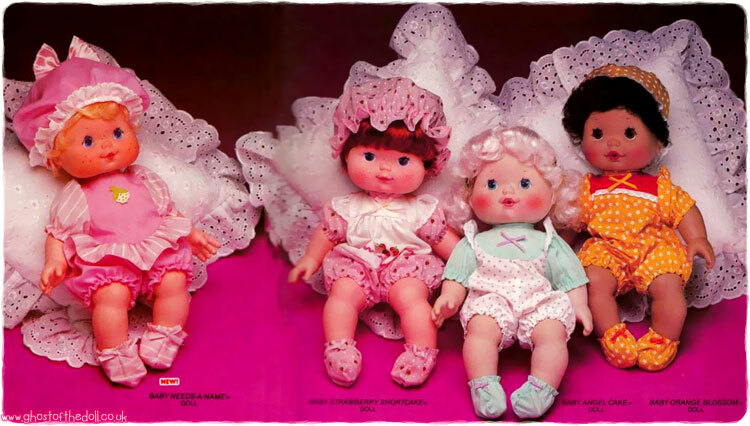 "The cutest bedtime bunch around - even with their eyes closed - Sweet Sleepers Dolls . . . with sweet scents, sleeping bags and snoozing pets!" 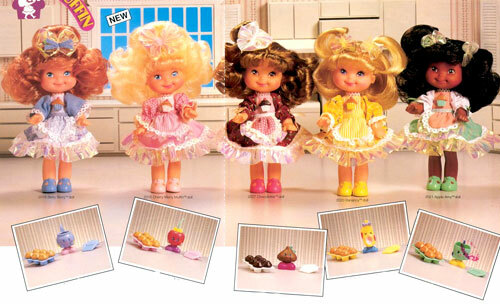 In 1984 Kenner produced five Sweet Sleeper Dolls, all with closable eyes. They were dressed in sleepwear and came with a sleeping bag, a snoozing pet and their boxes converted into bedroom scenes. They were each scented like their name. "They drink, they wet . . they're the cutest handful you'll ever hold!" 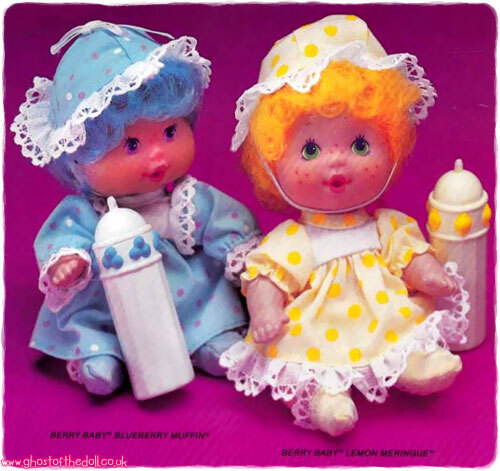 In 1984 Kenner produced four drink and wet Berry Baby Dolls. They were dressed in sleeping gowns and came with a bottle, hat and nappie each (no pets). They were each scented like their name. 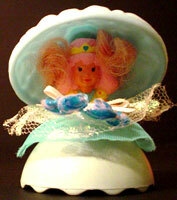 There were six 14" Baby Dolls produced. 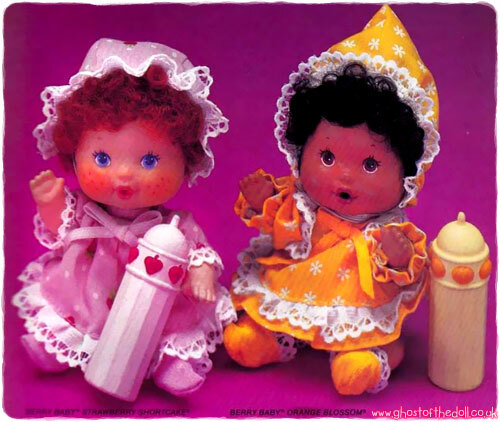 They came with bonnet, romper suit and booties (no pet) and would blow a scented kiss when squeezed. 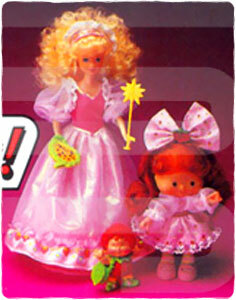 In 1985 Kenner produced six Berrykin dolls, which included the introduction of another new character. 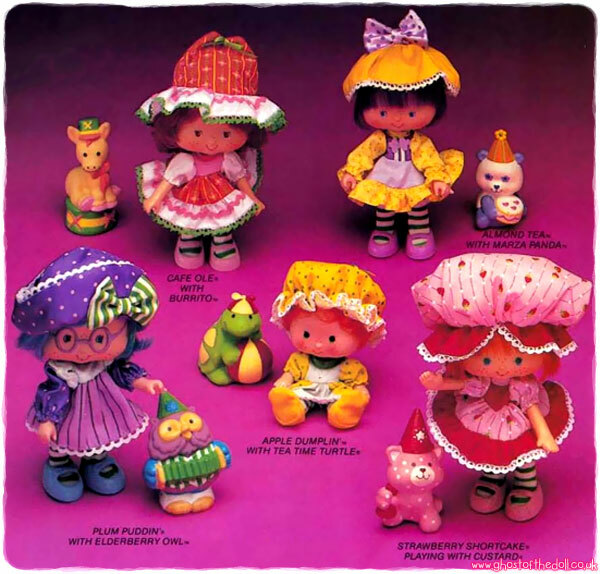 Rather than coming with pet, they all came with little cherub like babies called Berrykins. 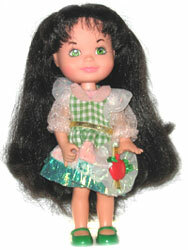 All dolls were dressed in fancy dresses and they were each scented like their names. 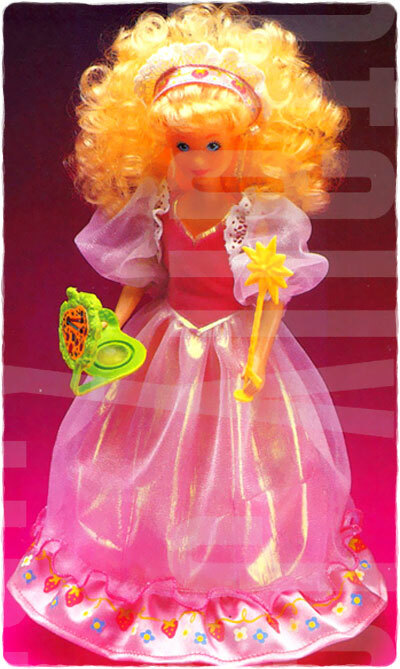 The leader of the Berrykins was Berry Princess, a Barbie sized doll which came with a sparkly dress, wand and stand.